Homschool conventions can be a wonderful blessing, but they can have their pitfalls too if you aren’t prepared. 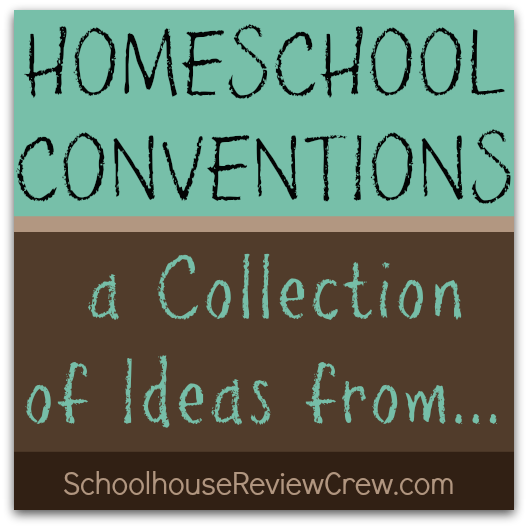 I am so glad that you have joined me on this post about some basics of enjoying and getting the most out of your local homeschool convention. Some of the wonderful blessings of attending a convention is the fellowship time with other homeschool families. Even though homeschooling is on the rise, many families that home educate their children can feel very alone in their community. At the convention, you suddenly become normal when your children are with you on a weekday during school hours, your children are excited about “school stuff”, and that yes, your family has more than the recommend 2.5 children. And yes, it is perfectly OK to use this as a mommy’s day out and share the day with friends. As a member of the Crew, I really gained my courage in engaging in more meaningful conversation with some of the vendors. What I found was that many that created their curriculum are the very ones in the booths and most were inspired to create their products because they had homeschooled their children. They are real people just like you and I. And yes, they too are becoming friends and another reason to keep going back. God never meant for you to do it all. There are generally two components to each convention site: speaker sessions and the vendor hall. Whether you go to one or the other or both, the reality is that you will encounter a lot of wonderfully creative ideas, strategies, and products. It can get really overwhelming. The key is to remember that absolutely no one can incorporate it all into their homeschooling day. Glean the important things and be thankful that the rest is there for someone else that truly needs it. In reality, even the speakers that make presentations are giving you an overview of all the possibilities, but rarely incorporate them all with their children on a daily basis. Figure out what I really am looking for before I go. I generally will create a list of subjects for each of my children and then start aligning curriculum that I already know what we are using and notate whether we have it on hand or still need to make a purchase. Subjects that I know what we are using and we already have materials for, I just simply do not let myself shop for curriculum or add-ons in this area. Know your budget. Determine with your spouse if you will be shopping or previewing curriculum. Our family tends to do a lot of previewing. There is an abundance on information on vendor websites that is helpful, but nothing compares to putting the materials in your hands, flipping the pages, and envisioning your child using it. Plan your day. Because of my responsibilities in helping my husband with our business, I generally only have a day to spend at the convention. The Great Homeschool Convention – Cincinnati is about an hour away. A wonderful feature of this event is that you can buy a vendor hall pass for $10 for the day for yourself and a higher, but discounted rate, for families. Prior to making the drive to Cincinnati, I decide which vendors I really want to visit, print off the vendor hall map from the convention website, and highlight the booths that are the top priority. While out on the website, it is easy to follow the links to the vendor’s own websites and also print out a discounted parking pass for the convention. Pray over purchases and phone home. After visiting a vendor booth, I will generally not make the immediate purchase, but make a note on my map to possibly go back later. This allows time to pray about the item, call my husband and get his thoughts, and to also check internet pricing from different sources to find out if I will really be getting a bargain by making the immediate purchase. Some families agree up front that the convention is the time to get all their curriculum choices out of the way. Our family on the other hand is a frequent flyer of used curriculum sales, swapping materials with friends, and searching auction sites on the internet. We are also extremely blessed to receive the opportunity to use and review so many great resources from being a member of The Crew. Don’t let a visit to the convention become a source of stress in your life. Make it a day of fun. The reality is that families found all that they needed to educate their children way before the first homeschool convention was ever held. The presentation of new ideas and creativeness can be a wonderful addition to your homeschool journey, but God will equip you with or without the speakers to train up your child exactly they way they need to be trained and you are the best person for the job. So kick up your heels and see your time at your local convention as a fun day to glean what can be gleaned, spend time with friends, and just to have a day to get yourself out of whatever rut may be trying to drag you down. Stay tuned for more step by step planning strategies as the Oaks prepare for the 2014-2015 school year. We will be visiting the Great Homeschool Convention in Cincinnati on April 23. More of how we walk through this process will be leading up to this date and be sure to tune in on April 24th for a recap of what we discovered on our journey into the big city. 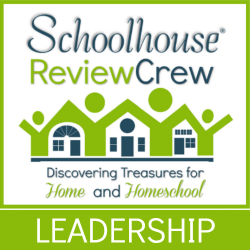 Be sure to check out what my fellow crewmates have to say on all the different benefits and blessings of attending your local homeschool convention.